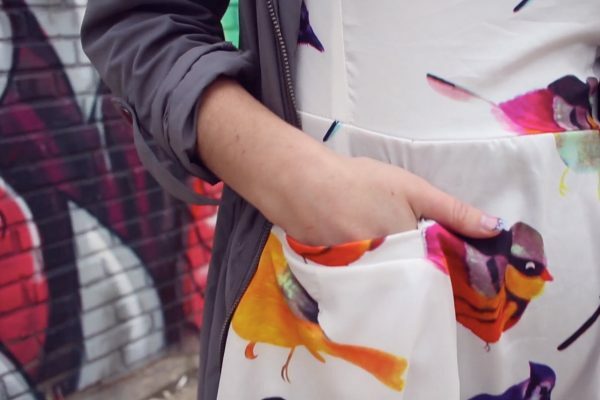 Do you want to add pockets to any dress or garment in your closet? Follow Dominique Jernigan’s “how to create a welt pocket video” and learn how! Welt pockets are more versatile than traditional pockets placed at the seam. Cutting a slit into the fabric in any area of the garment creates the welt pocket. This allows for placement anywhere on the garment, no seams required. In this video Dominique will add welt pockets to her favorite summer dress. Dominique begins by taking fabric from other parts of the garment to create her welt pocket. You can also create a new design by using fabric in a contrast or neutral color palette to create your welt pocket. The size of your welt pocket can be customized to your needs. For the perfect width of the welt, measure the size of the object you would like to slide the pocket (example, your had width) and add 3/4″. To customize the length of the pocket bag, measure the length of the object you would like inside the pocket (example, your hand length) and cut a piece of pocketing fabric two times this length, add 2″ to account for the welt placement. Dominique will use a straight stitch and buttonhole stitch on her BERNINA 1008 to complete this project. This is the visible part of the pocket. 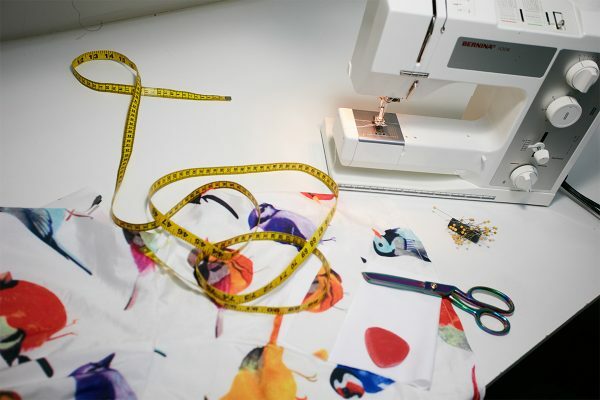 Choose fabric from the existing garment or create your own design with new fabric. Woven fabric is recommended. Use medium weight interfacing to add stability to both welt fabric. In this video Dominique does not stabilize the “slit” area with interfacing because she has also slit though the lining fabric. Incorporating the lining fabric also serves as an interfacing. A twill weave or a sturdy cotton woven is recommended for pockets that will last. Had I not previously known, and had the experience of, making welt pockets, this video would have been of no benefit to me! Dominique did a good job of explaining what she was doing, but the cinematography was not clear because the fabrics were the same color as the garment and the thread. If this is meant to be an instructional video, it needs to be remade. Super easy! and u will love it.